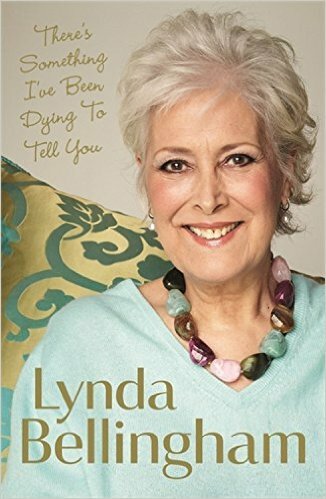 Lynda Bellingham was a tremendously gifted storyteller with a rich collection of tales of love, loss and laughter and this memoir brings her kind heart, courage and emotion to the page in vivid detail.There’s Something I’ve Been Dying To Tell You is a brave memoir about Lynda’s battle with cancer, facing death she found joy and shared it with millions. Her story is an affecting and at times heart-breaking one but it is so often laugh-out-loud too and ultimately the way Lynda told her life story serves as a great inspiration to us all. Woven into this very moving and brave story are extraordinary, colourful tales of her acting and family life that will enlighten and entertain as well as the journey that Lynda has taken to find the family of her birth father having already suffered heartache in her search for her birth mother. In the search for her father’s family, Lynda finds a family with a history in entertainment showing that acting was always in the blood. This book was written in Lynda’s final months and revealed for the first time, and in great detail, her fight with cancer and how her life was transformed since her diagnosis. This edition includes a brand new chapter written by Lynda’s husband Michael about his love for her, her love of life and her glorious final send-off. I have always enjoyed watching Lynda Bellingham on the telly – particularly her appearances on Loose Women. When I found out that she had died following her battle with cancer I really wanted to read this book to understand more about her battle with cancer and how she handled it. This book allows you to understand the journey of someone who has been diagnosed with cancer from the beginning of the diagnosis and throughout their treatment. I found it fascinating to see how Lynda dealt with the different obsticles and her emotions throughout her various treatments. I think that it is incredible that she was writing this book during that time. Reading this book was sad as I knew what the ending was going to be. The book is very well written and leaves an impression of strength and courage. I don’t think a review here could really reflect the book – I would just say go and read it as it definitely leaves a lasting impression.